On the streets of San Diego. Are you channeling Ed Ruscha??????????????????? 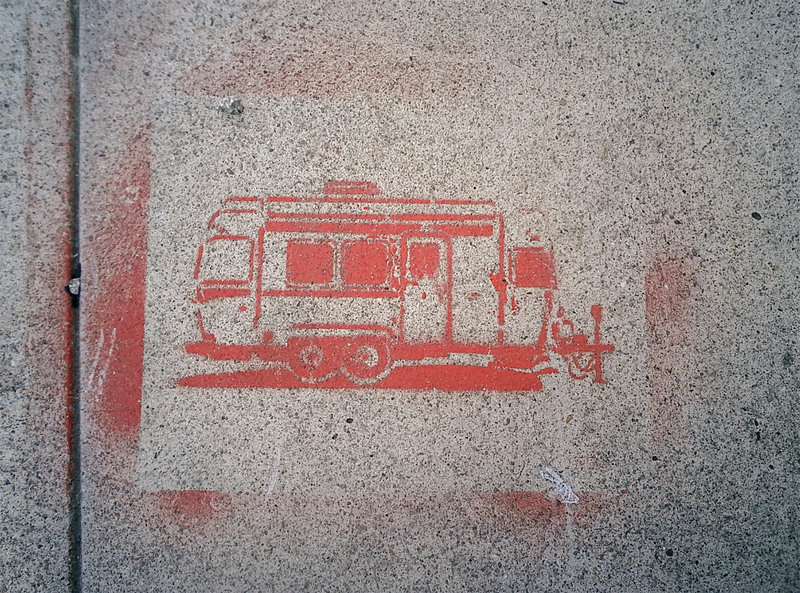 So someone cut a stencil and spray painted it on a wall, sidewalk? The stencil is very nice. And you found this in San Diego? Yes that is exactly right. It was on the sidewalk near Balboa Park.